Ole Smoky Moonshine, a Tennessee distillery locked in a legal battle with PepsiCo over use of the term "Mountain Dew," filed a motion on Monday to allow any company to use the phrase for alcoholic beverages. (NEW YORK) — Ole Smoky Moonshine, a Tennessee distillery locked in a legal battle with PepsiCo over use of the term “Mountain Dew,” filed a motion on Monday to allow any company to use the phrase for alcoholic beverages. The distillery has been in a legal battle with one of the world’s largest food companies since shortly after Ole Smoky filed an application to trademark “Ole Smoky Mountain Dew Moonshine” for distilled spirits in 2015. PepsiCo officially filed a Notice of Opposition with the Trademark Trial and Appeal Board in 2016 — the most recent motion filed. “It only makes sense that [the term ‘Mountain Dew’] be shared amongst distillers,” Ole Smoky founder Joe Baker told ABC News. If the TTAB waits until all pending litigation is over to decide on whether to grant the disclaimer, “any benefit of simplifying the issues for trial would be lost because all of the issues would have already been addressed and litigated during the trial period,” Ole Smoky said in the motion. Baker said Ole Smoky decided to file the motion to disclaim Mountain Dew after hearing from others in the distilling community. “The term Mountain Dew is not a term we believe should be exclusively owned and used by Ole Smoky … and we’ve decided to try to move to establish the term as a descriptive and general term for what moonshine is,” Baker said. Moonshiners argue “Mountain Dew” is a synonym for moonshine, and some point that dictionaries, such as Merriam-Webster, also note that “Mountain Dew” is known as moonshine. 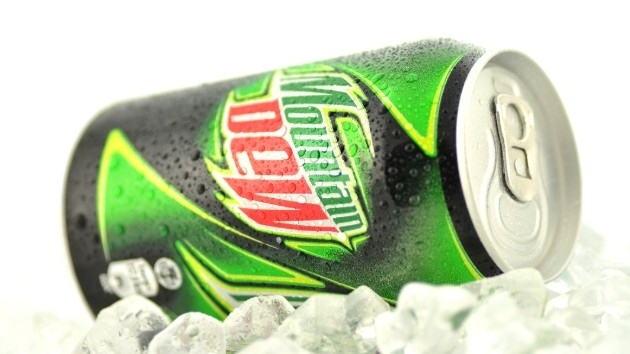 “We would like to be able to use what has historically been, and even defined as Mountain Dew” in the dictionary, Baker said. PepsiCo did not respond to a request for comment from ABC News. “I hope that our lawyers and Pepsi can reach some type of amicable solution that allows everybody to celebrate the history [of ‘Mountain Dew’],” Baker said.